So these are 2 new rangers that will pop up late on in my Power Rangers Carnival story. 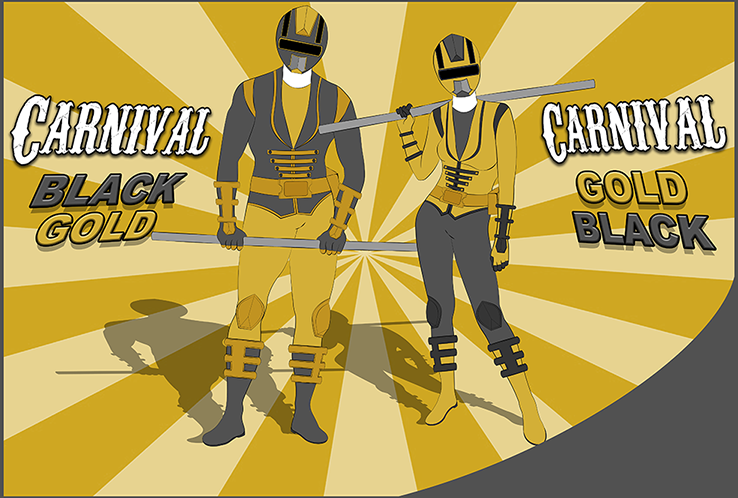 Introducing "Carnival BlackGold" and "Carnival GoldBlack" they wield the "Carnival Staffs" and pilot the "Carnival Horse and Monkey zords"
When the rangers were fighting a powerful Freak and were on the verge of losing these 2 mysterious rangers popped up and defeated the monster. No one knows who they are or how they got their powers but they seemed to be trained and are powerful enough to defeat a high rank Freak. They were also able to pilot their zords for the first time with ease. Haven't updated in a while. Here's something I put together. 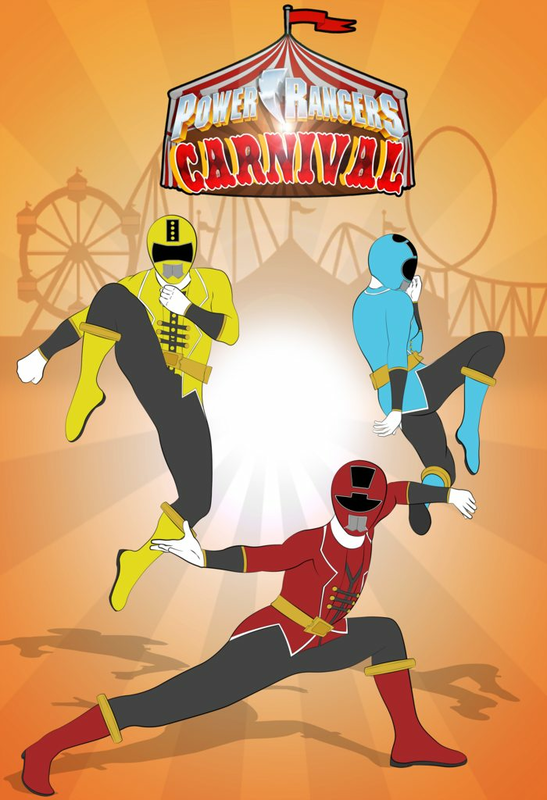 It's a poster for Power Rangers Carnival. Sort of like the official rangers posters they do before the season starts. That's it for now. Hope to get to show you guys the zord designs and civilian designs real soon.